Yesterday I did the treadmill stress test. Everything was steady while climbing the hill. After the cooldown the flibidy flobity started up. I skip a beat every 3 or 4 or more. That’s the usual thing – as opposed to the super fast beats from the other day. The hope is that this is two aspects of the same thing. The good news is that the irregular beat is easy to trigger. 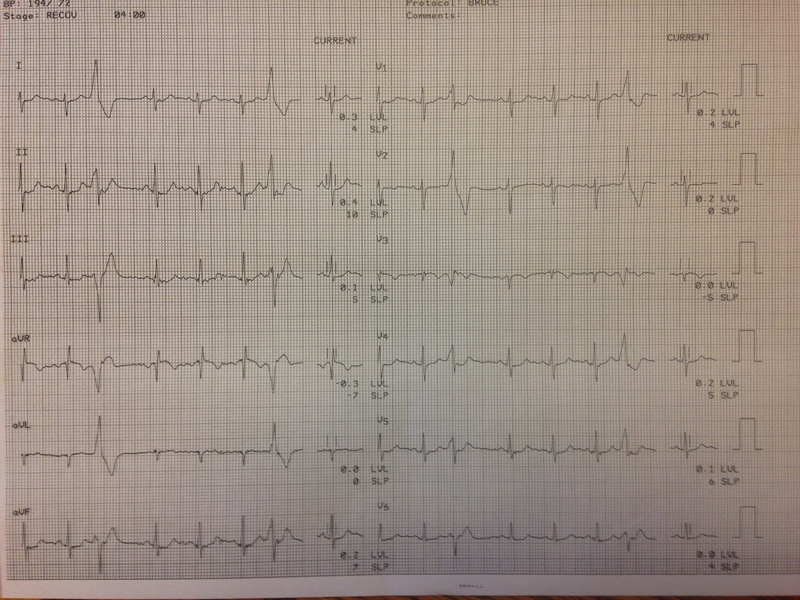 Well, good in that if we do ablation it should be easy to tell if it was successful.